How can I change AlphaBlend value (of a form) in a FireMonkey Desktop Application? Well It's available in VCL Application but I couldn't find it in FireMonkey. if you need to make all components at form semitransparent then place TLayout on form with Align = alContents and set its Opacity property to required value. of course all your components become trasparent too. Since you are looking only for a Windows implementation you must add the WS_EX_LAYERED style to your form and then using the SetLayeredWindowAttributes method set the alpha value based in a value or a color. Check this implementation, using a interposer class. Not the answer you're looking for? Browse other questions tagged delphi firemonkey alphablending delphi-xe5 or ask your own question. 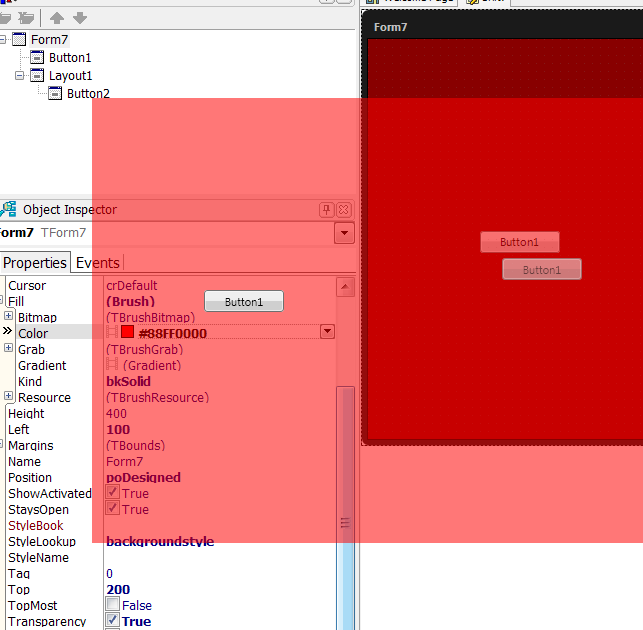 Cutting out part of a firemonkey form by setting transparent color doesn't work? 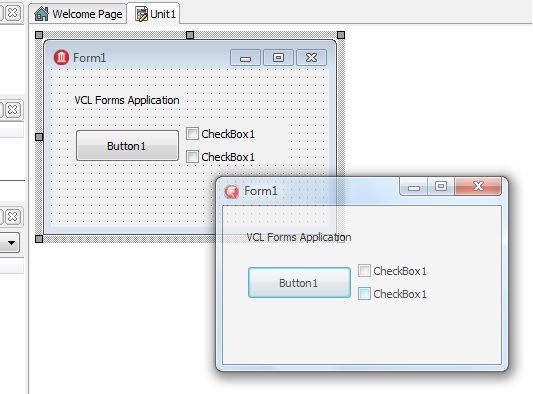 Delphi XE2: Possible to instantiate a FireMonkey Form in VCL application? Firemonkey: Why does TBitmap.LoadFromFile() fail?